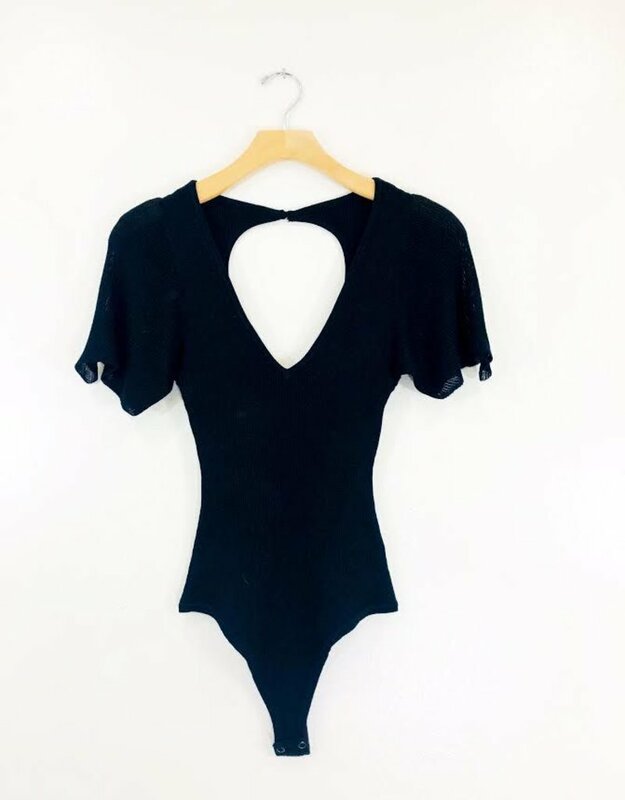 We can’t contain our excitement over the Cha Cha bodysuit. 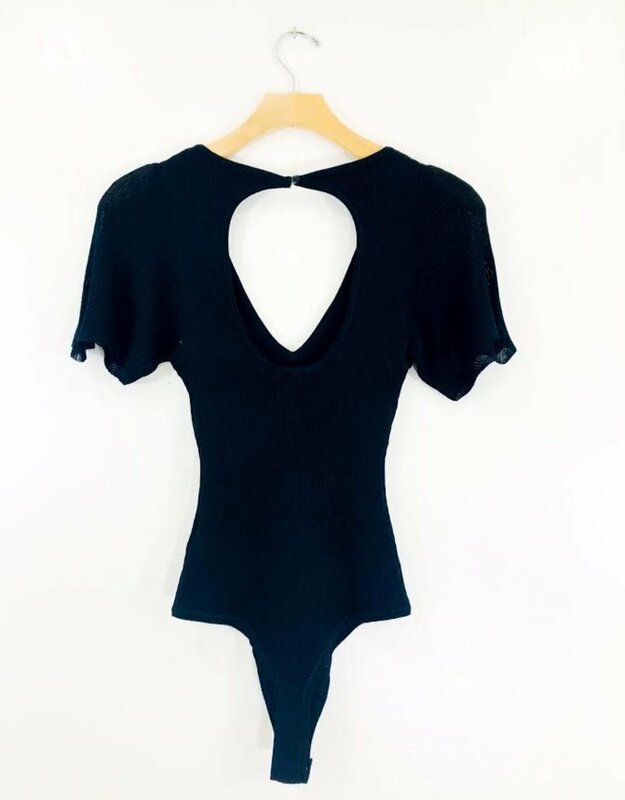 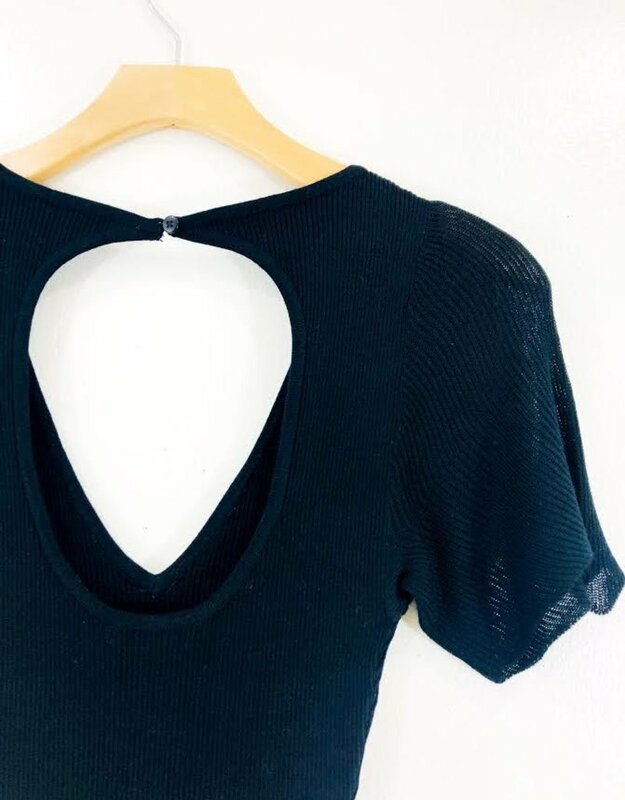 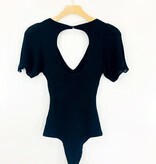 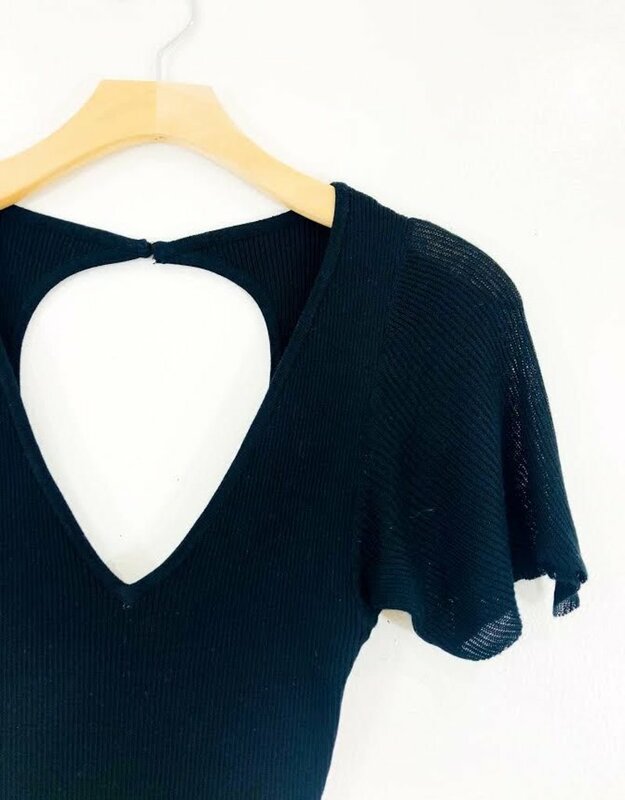 This fitted bodysuit has ribbed detailing that looks so killer on. 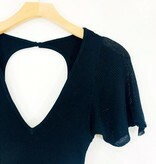 The v cut front and open back style of this flutter sleeve piece has so in love.